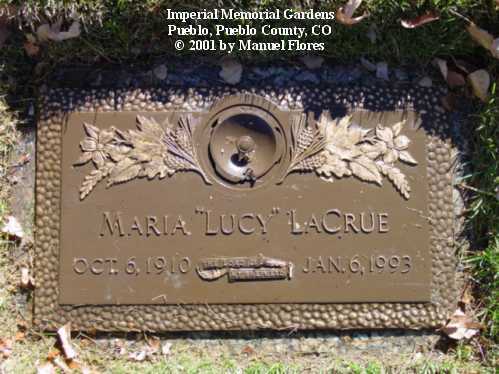 The Imperial Memorial Gardens are located at 5450 W. State Highway 78, Pueblo, CO 81005-9606. 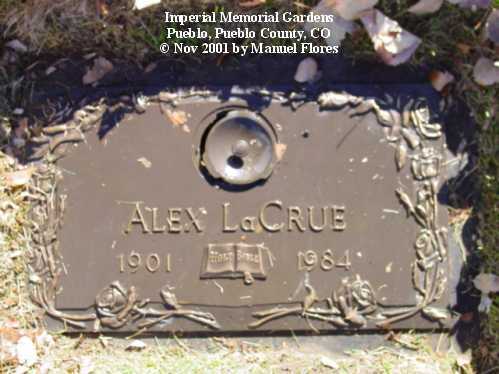 Directions: take the 6th Street exit, exit number 99A towards CO-96 for 0.1 mile, merge onto W 6th Street for 0.1 mile, turn left onto N. Santa Fe Ave/IS 50 BR for 0.1 mile, turn right onto W 4th St/CO-96 1.3 miles, turn slight right onto Lincoln St/CO-96 0.7 mile, Lincoln St/CO-96 becomes CO-96 1.3 miles, turn left onto CO-45 1.6 miles, turn right onto CO-78 4.8 miles. 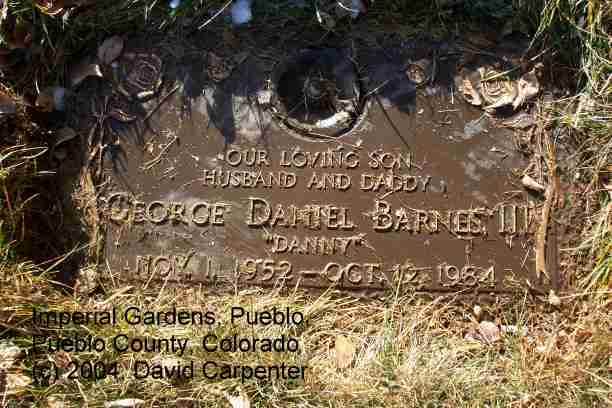 + Son of George Barnes and Myrtle Rennix. 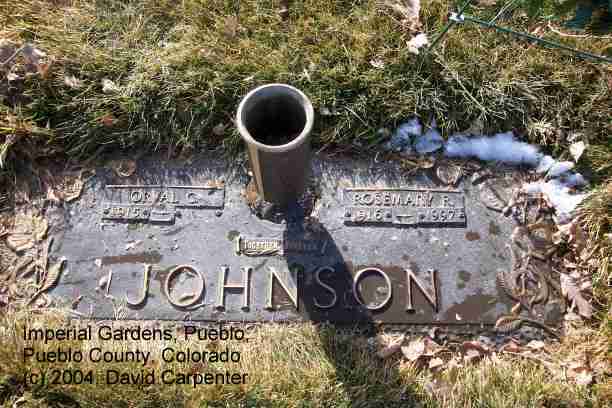 + Daughter of James Zeno West, Sr., and Mary Ethel Johnson. Our loving son, husband and Daddy. 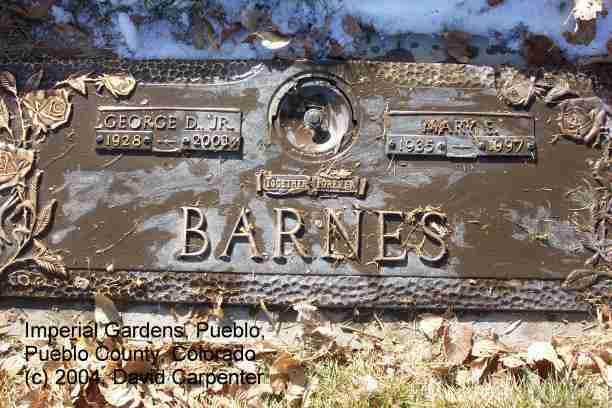 + Son of George D. Barnes, Jr., Mary Ethel (West) Barnes. 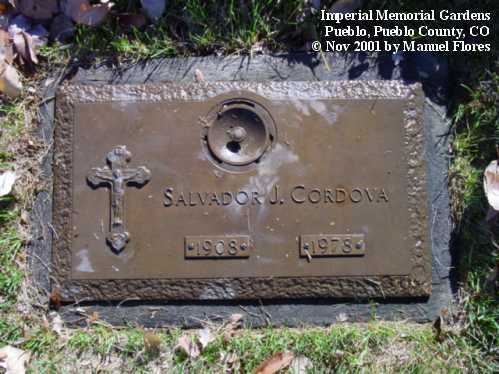 Isaac (Jose Isais) Cordova Son of Salvador & Maria Cruzita (Vigil) Cordova; born June 21, 1882 in Long's Canon, Las Animas County, Colorado; died August 23, 1974 in Pueblo, Colorado; married July 31, 1905 in Trinidad, Las Animas County, Colorado. 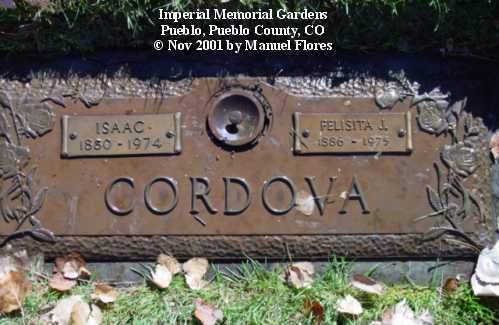 Felisita (Maria Felecita), daughter of Miguel & Felipa (Trujillo) Jaramillo; born July 10, 1886 in La Junta, Las Animas County, Colorado; died December 29, 1975 in Pueblo, Colorado. 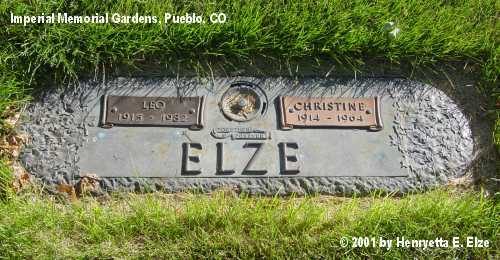 Christine died 11 May 1964 in Pueblo. 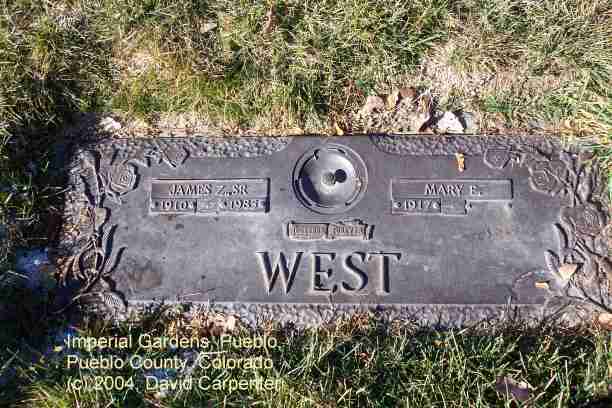 + Had three children that married into the Madison West family. + Garden = Last Super, lot 316. 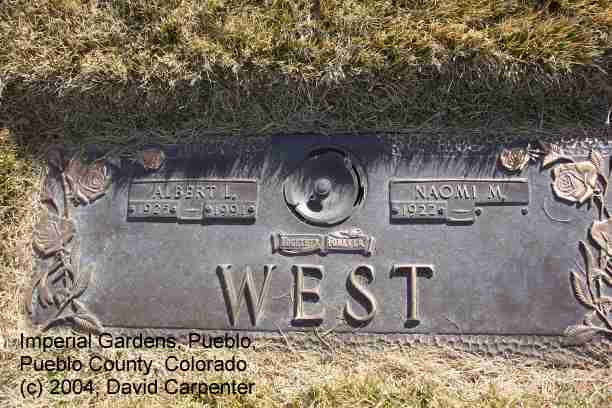 + Son of Madison Travilla West and Minnie Beryl (Wylie) West. 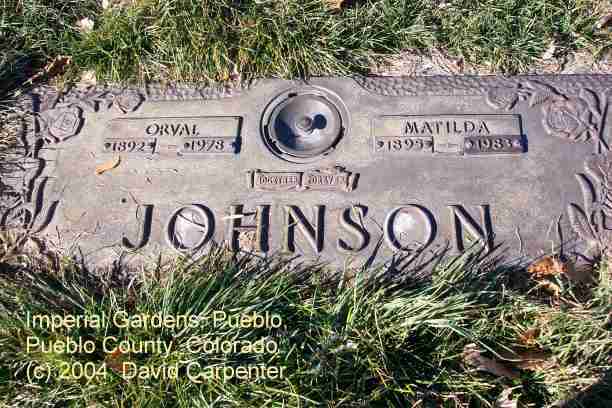 + Daughter of Orval and Matilda Johnson.